*price for one person on a one-way trip. Offer subject to conditions. 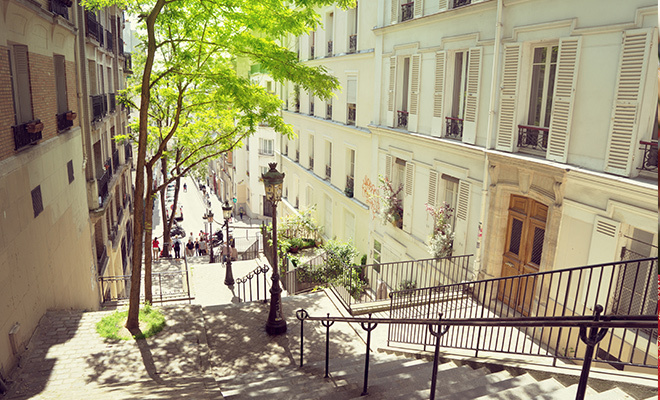 Always wanting to come back, to stroll along the Seine, to greet the Eiffel Tower, to visit the Louvre or just walking on the cobblestones of the Butte Montmartre and sit on the steps of the Sacré Coeur enjoying Paris at your feet. Early in the morning, you will arrive at the Gare de Lyon station in Paris, in the centrum of the city. During your night in the cabin or couchette compartment, you crossed the Alps and the region of Burgundy without any stress due to crowded airports and roads. Thello brings you to Paris from the main italian cities, every night saving a night accomodation. Guided tours in Paris with Napoleone Tour. Discount for Thello passengers. Discover the many facets of Paris through a fascinating and unexpected tours. This guided tour will allow you to view the best Parisian spots as well as the most famous museums and monuments and discover the City of Light outside the box. Napoleone Tour will make you visit Paris with a young and friendly English speaking guide who will take care of you with attention and enthusiasm which only a friend living in Paris could do.